Over the Summer, I reported here that about companion Pennsylvania bills introduced in the House and Senate that would outlaw both sexual orientation and gender identity discrimination in the workplace. Each bill had bipartisan support, but it was unclear how Governor Corbett (R) would act if a bill was placed on his desk for his signature. 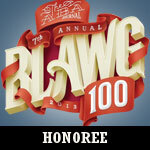 Two days left to vote in the ABA Journal’s Blawg 100 Amici contest. Please consider voting for this blog by clicking here, the banner to the right, or by tweeting your support. Yesterday, The Philadelphia Inquirer reported here that Gov. Corbett said that he would support legislation banning discrimination based on sexual orientation in employment, housing, and public accommodations. The Inquirer story notes that 33 Pennsylvania municipalities have nondiscrimination laws that include sexual orientation and gender identity, while 23 Fortune 500 companies based in Pennsylvania have similar nondiscrimination policies. Neither bill has moved out of committee since being introduced in August. The Inquirer reports that Rep. Daryl Metcalfe (R., Butler), chairman of the state government committee, who controls the movement of the bill in the House, is against it. We’ll just have to wait and see what comes of it.